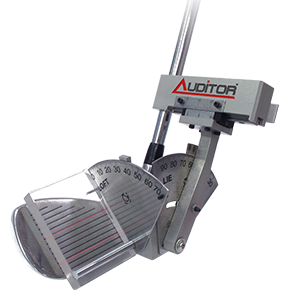 The Universal Lie & loft gauge distinguishes itself from the Tournament gauge with its slightly larger frame and longer slider needed for working around big drivers. 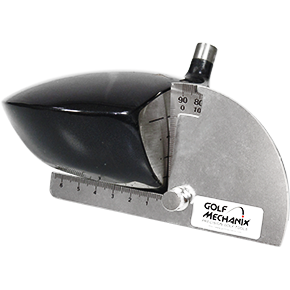 Lie and loft angles are measured using four contact points straddling the bulge and roll curvature in the plane and at the center of the club-face. While this method does not allow the face angle to be compensated for when loft is measured, it is still adequate for pin-pointing weaknesses associated with trajectory and distance. Read more in the PDF and watch the Video below! This is an order item and will take about 1-2 weeks, to get in stock. This is the shipping rates and they are not included in the total price when you order. 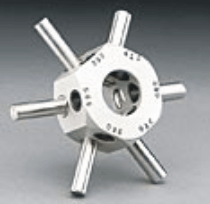 You will receive an invoice from Wilprod that includes both taxes and shipping-rates. In this homepage you will create an order. After check out you will shortly after be contacted by Peter from Wilprod. He will send your invoice and when it is paid he will send the ordered products to you.